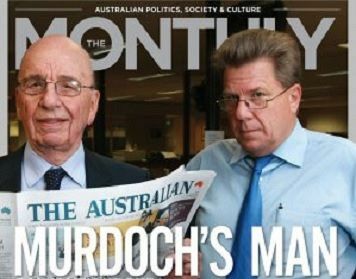 The Australian Press Council has declined in investigate an article in The Australian by its former editor, Chris Mitchell, attacking Julia Gillard, despite the piece containing at least five clear errors of fact. 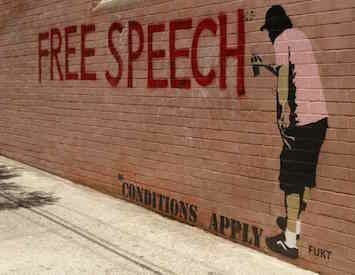 After losing sleep over Grace Collier’s column in The Australian on freedom of speech Dr Martin Hirst penned this open letter. 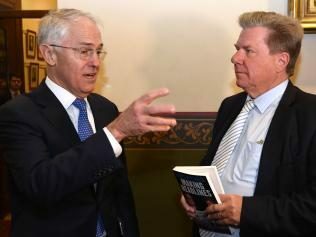 Tales of dysfunction, infighting and secrecy within the office of former prime minister Tony Abbott are chronicled in a book to be released today. 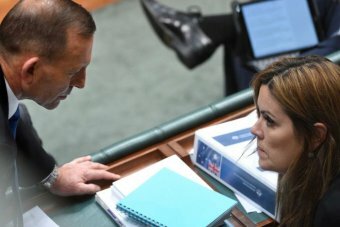 An explosive new book examining the downfall of the Abbott government with compelling new insights into the obsessive working relationship between Tony Abbott and Peta Credlin is set to reshape the nation’s political landscape. 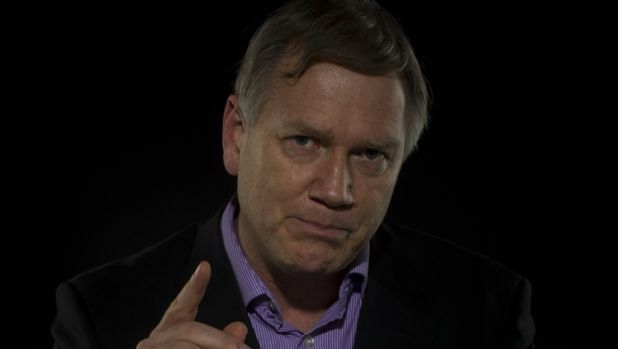 Malcolm Turnbull’s overthrow of Tony Abbott has ‘set off a civil war within News Corp’, according to the media giant’s conservative commentator Andrew Bolt. 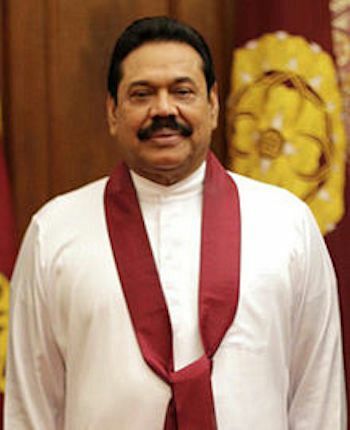 Australian media exposed as Rajapaksa’s grubby story unravels. Murdoch is turning the screws again, this time he has Abbott in his sights. When, Andrew Bolt, Nicky Savva, and Team Murdoch turns on him. you just know he is in trouble, and Team Australia is abandoning him in their droves. Must be driving Brian Loughnane quite mad, having his wife being asked to step down, I wonder who and how many phone calls he is taking these days? NORMALLY, opposition parties are forced to cope with life in the wilderness. Not now. Today, and for almost 18 months, we have endured, enjoyed or been bewildered by government in the wilderness. More disturbingly, the man in charge, so brilliant as opposition leader, so flawed as Prime Minister, shows few signs he is capable of leading his government out of it, and every sign the job is beyond him: that he is not up to it and might never be up to it. The situation is that dire. Not because of a hostile media, a restless backbench or an effective opposition leader brimming with conviction or ideas, but because of the Prime Minister’s own actions. Frontbenchers as well as backbenchers are realising it’s time to stop criticising staff and start directing the blame for the government’s predicament where it really belongs. With him. They now accept they have to convince him to change and if they can’t they will be forced to consider changing him. If their survival depends on his elimination, eliminate him they will. Count on it. That is because ultimately Tony Abbott is responsible for all of it. He decides what is done, as well as who does it, he signs off on it or cedes the authority which ­allows it to happen, or simply turns a blind eye to it. There is no guarantee the Prime Minister will perform better if he is forced to sack his chief of staff, Peta Credlin. Government insiders fear he has become psychologically dependent on her, a view supported by the private comments of friends who worry he would feel bereft without her. Publicly his colleagues grappled with formulations to distance themselves from him after his decision to award a knighthood to Prince Philip without stabbing him in the front. Privately there was sorrow, anger, humiliation and as one said “utter utter disbelief” that he could do this to himself and to them. It will never be forgotten nor readily forgiven. Some were already doing ­numbers, apparently intending to impress upon him how much trouble he was in. After Monday, it acquired a deeper, more urgent focus. According to one Liberal MP, the most obscure backbencher game enough or riled enough to put their hand up today would get 15 to 20 votes. Imagine what Julie Bishop could do if she wanted to. Despite Kevin Andrews saying it has cost nothing, it could ultimately be the costliest decision Abbott has ever made because it encapsulated for sensible Liberals, including the monarchists, everything which is wrong with Abbott’s conduct as Prime Minister: his failure to consult; his failure to gauge the mood of the electorate; his failure to concentrate on issues mainstream Australians deem paramount; his failure to live up to repeated promises to do better. Yesterday, his preparedness to accept responsibility, cop it on the chin and again undertake to consult more fell on increasingly deaf and hostile ears. They have heard it all before. Often. If it was an isolated incident, he might have got away with it. If everything else was going swimmingly he might have got away with it. But it is not. Far from it. Unfortunately it is only the most recent of a very, very long line of blunders and miscalculations which have undermined his authority and diminished his capacity to prosecute the government’s case for tax reform, workplace changes or budget repair. Take the Medicare rebate debacle. Abbott announced it after parliament rose, without backbench consultation, against the advice of Treasurer Joe Hockey and then health minister Peter Dutton. 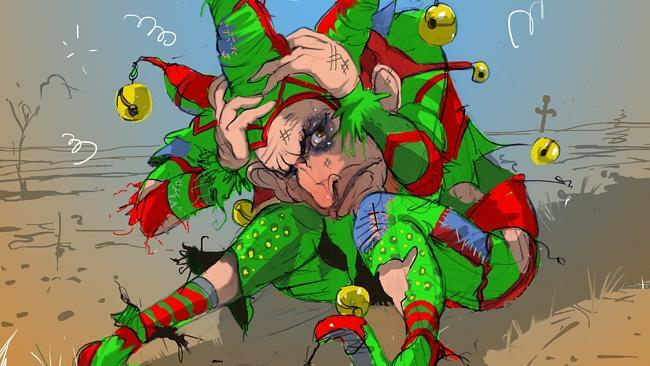 Days later as Christmas approached, he unveiled a ministerial reshuffle, including a new Health Minister, Sussan Ley. Everyone went on holidays ­assuming it would automatically proceed as they had announced just because they had announced it. Not bloody likely. Complicated, contentious policies have to be properly sold and explained ­before, during and after announcement. Back in their electorates, MPs were confronted by irate GPs. Queensland backbencher Mal Brough, flexing his muscles, was unhappy with the policy, as well as its plopping into the middle of the state election campaign, and orchestrated the campaign against it. Finally Ms Ley was called off the Titanic (or whatever cruise ship she was on), to declare the government would not proceed with the changes. Unfortunately her cabinet colleague Bruce Billson was still strapped into his deck chair declaring, despite the icebergs, that it was full steam ahead. Another triumph for the internal communications of the government. Abbott won the leadership five years ago as a result of a policy contest. If he falls as prime minister, policies will be a contributory factor, but it will be mainly because of the now fully exposed personality or character flaws. The question is what next. The gloom will deepen and the resolve to act intensify if Queensland goes worse than expected, especially if Campbell Newman loses his seat. Abbott’s warnings to remember the consequences of the Rudd- Gillard battles and to consider that Ted Baillieu’s removal did not help in Victoria hold little sway. His faults are more pronounced and better known to voters than were Rudd’s, while the problem with Baillieu was not that he was removed, but that he was left there too long. Liberals are evaluating the qualities of potential replacements, mainly Bishop and Malcolm Turnbull, with Scott Morrison on the periphery. As Foreign Minister Bishop has performed very well, however, while she remains quarantined from them, she is also untested on domestic issues. Turnbull is hated inside the party as much as he is admired outside it. His prospects would ­improve if he undertook not to push for an Emissions Trading Scheme until the rest of the world moved. As one senior member of the government put it, choosing a leader is not so much about deciding who is the best candidate, but who is the least worst. That is how Abbott got there and if he doesn’t improve, he will go out the same way.